This is the part two of our Countering Criminalization blog series, examining Constitutional Challenges and Constructive Alternatives to the criminalization of homelessness. In some cities, homeless people are fined and even arrested for sitting or lying down in public spaces, despite having no other place to perform these basic activities. However, the local laws and ordinances which criminalize these activities unconstitutionally violate the free speech protections of the First Amendment. Freedom of speech, which includes non-verbal expression, allows us as Americans to be secure in the knowledge that we can express ourselves without fear of government sanction. But people who are homeless routinely encounter restraints when expressing their most basic needs to their fellow citizens. Berkeley, California instituted a local law restricting sitting or lying down on public sidewalks, which restricted the ability of homeless people to sit while soliciting. In Berkeley Community Health Project v. City of Berkeley, a federal court found that sitting while soliciting was likely expressive conduct, protected as free speech under the First Amendment. The court found that sitting while soliciting conveys a persuasive message of need, and people expressed discomfort at seeing sitting solicitors. Additionally, the court also found that the ordinance significantly burdens speech, and didn’t leave open sufficient alternatives for people who must sit. As a result, the city of Berkeley was barred from enforcing the law. Where other cities continue to pass and enforce similar ordinances, homeless people’s freedom of speech continues to be unconstitutionally restricted. 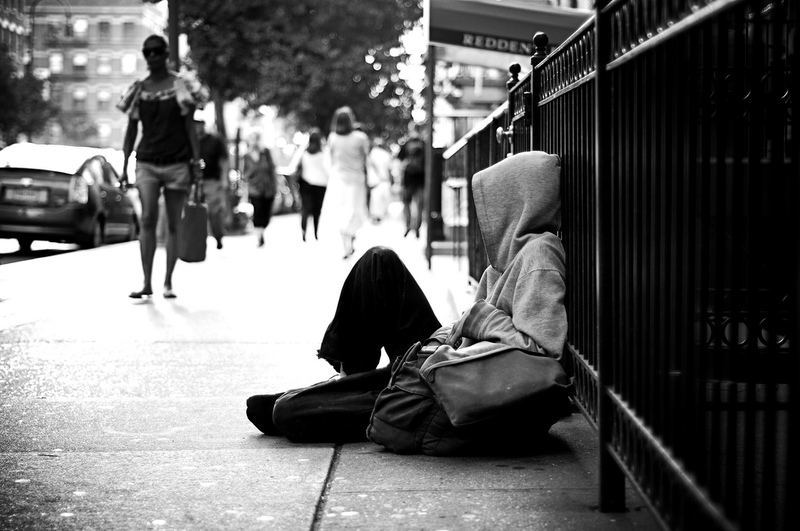 In a 2011 survey of homeless individuals and advocates, the Law Center found that about one in five homeless people has been cited or arrested for sitting on a public sidewalk, illustrating the widespread impact of this problem. Local governments should work to ensure that laws protect the essential freedoms of all citizens, rather than punishing the most vulnerable. Stay tuned for our next post in the Countering Criminalization series, when we will continue looking at Constitutional Challenges to the criminalization of homelessness. This entry was posted in Civil Rights, Criminalization and tagged Constitutional Challenges, Constructive Alternatives, Countering Criminalization. Bookmark the permalink.